Skybell HD vs Ring Pro. The biggest difference between these two smart doorbells is that the SkyBell HD has a field of vision of 130° whereas the Ring Pro’s is 160°. The biggest similarity between the Skybell HD and the Ring Pro is that they can both record footage in 1080p. Read on to find out why the Ring Pro is the better wi-fi video doorbell. For those of you who prefer to watch instead of read a review, find a video review below. In this section, I will compare some of the basic specifications. In the basic comparison table shown above, we can see that these two smart wi-fi doorbells are made by two of the top companies in this field and that these two products are their flagship products. SkyBell only make smart doorbells and that was the case up until recently for Ring as well- in 2016 they launched a security camera. Both of these products were launched in the same month- April 2016. What is interesting is the big difference in the weight between these two products. The Skybell HD is a mere 1.9 ounces whereas the Ring Pro weighs in at 9.6 ounces. In terms of size, obviously the SkyBell HD is round, whereas the ring pro is rectangular. The SkyBell is wider whereas the Ring Pro is longer. In this section, I will compare the video and audio features between the two smart doorbells.. 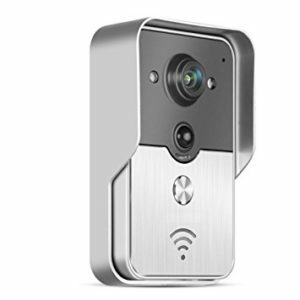 Both of these doorbells shoot video in 1080p, which is the best quality that you can currently get from a wi-fi video doorbell. The SkyBell HD has a 130° field of view where has the Ring Pro has a larger 160° field of view. Both of these doorbells have two way audio. This feature means that each doorbell has a speaker and microphone built in and that a person that is standing by the doorbell can have a conversation with a person who is connecting to that doorbell via an app. Both of these doorbells have night vision which is a crucial feature for any video doorbell to have. After all, it would be a very limited doorbell that could only record video in daylight! What is fairly unique about the night vision on the SkyBell HD is that it records footage in colour and it has a range of about 15 feet. Which means that it promises to clearly see objects that are up to 15 feet away. Unfortunately I could not find any details about the specifications relating to the Ring Pro’s night vision. The SkyBell’s motion detection comes with sensitivity settings. The ability to adjust sensitivity settings is very important because of the different surroundings that the doorbells may be installed in. If you live in a quiet neighborhood, you will most probably want to have very high sensitivity settings so that the doorbell detect every motion, whereas if you live in a busy and noisy neighbourhood you might choose lower sensitivity settings so that irrelevant motion such as passing cars and pedestrians aren’t constantly setting off alerts. You can adjust the sensitivity settings for the Ring Pro and within the cameras field of view you can set up zones that you specifically want to monitor. Both the SkyBell and the Ring Pro have this feature. With the SkyBell it can be done by the app and with the Ring Pro it can be done via the app or a browser. 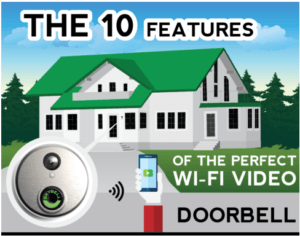 In this section, I will compare how each of these wi-fi doorbells can be remotely controlled via apps or web browsers. Both of these doorbells can be used with iPhones and iPads and Android smartphones and tablets. If you want to use these doorbells with your iPhone or your iPad they both doorbells need to be running version 8 or later of the iOS software. If you want to connect your Android phone or tablet to the SkyBell, then you will need to make sure that your device is running version 4.4 or later. The Ring Pro has slightly different connection requirements with Android devices. You just need to make sure that any Android device is running 4.0 or later. The SkyBell does not have an app for any Windows 10 mobile device. Very unusually for a smart device, the Ring Pro does. 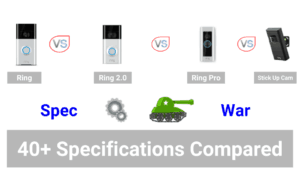 In this comparison chart,we will look at whether the SkyBell or the Ring Pro can be accessed using web browsers. Being able to access a smart device via a web browser, gives the user a bit more flexibility because then they can control their device via a laptop or a desktop computer as well as with their smartphone and tablet. This is normally done via an online account which you set up when you first buy the device. In this section, I will compare the compatibility of each doorbell with home automation systems. Home automation is the ability of smart devices to connect to and interact with one another by using a smart mome system. My comparison chart in this section contains eight systems, but of course there are many more. [*] The If This Then That (IFTTT) platform. 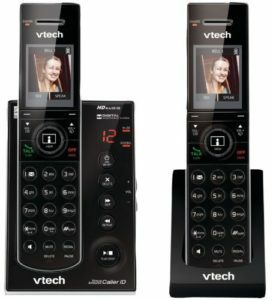 Very surprisingly, it is not compatible with Amazon’s own voice controlled system, called Alexa. In this section, I will compare how each doorbell connects to networks and stores photos and videos. Both of these doorbells connect to the most commonly used WiFi networks found in US homes at the moment- which are routers that run at the 2.4 gigahertz speed. The Ring Pro is also compatible with newer types of routers that run at a 5 gigahertz speed. But, both of these smart doorbells store your photos and videos in the Cloud. SkyBell offers this facility for free whereas it will cost you $3 a month to use Ring’s cloud storage system. The comparison chart above shows that both of these doorbells have the same power needs. They can only be powered using low voltage 16 to 24 volt wire, which is traditionally called doorbell wire. This is important because it means that if you want to buy these doorbells you even need to have existing doorbell wire that works or be willing to install it. These smart doorbells cannot be powered by battery or by using a 120 volt power cable. In this section, I look at design and warranty features. The chart above shows some of the design and warranty features. The SkyBell HD comes in two choices of colour: silver or bronze. But the Ring Pro comes with 4 interchangeable colored face plates. These face plates enable you to change the colour of the doorbell whenever you want. Both of these doorbells are weatherproof and they work within specific temperature ranges. The SkyBell HD works between – 40 to 65 °C, whereas the Ring Pro works between – 20 to 48 °C. The Ring Pro is compatible with more smart lock systems than the SkyBell. In terms of warranties both of these doorbells offer free lifetime replacements. This essentially means that if your doorbell is stolen and you send SkyBell or Ring a copy of the crime report that you have filed with the police, then they will send you a replacement doorbell for free.